The WDCT is a projective drawing technique that can be completed in 5-10 minutes and is appropriate for children, adolescents, and adults. It is easy to administer and not overwhelming for clients to complete. A recent meta-analysis (Gronnerod & Gronnerod, 2012) attests to its validity in assessing personality and psychopathology. It was also recently recognized as a valid performance-based personality test that can be used for certification in Therapeutic Assessment. Created in 1926 by the German psychologist Ehrig Wartegg (1897-1983), the WDCT consists of eight boxes, each containing an ambiguous mark. The client completes each panel by making a meaningful drawing that incorporates the mark in that panel. The Crisi Wartegg System (CWS) is a new methodology for the use of the Wartegg Drawing Completion Test (WDCT) that rigorously scores and interprets the drawings of the clients. Psychologists in Italy, Japan, Scandinavia, and South America frequently use the CWS in psychological assessments. It is also a selection tool of the Italian military. Level 4 (5 days in Rome, Italy) — (OPTIONAL) Integrate the Wartegg with other measures (i.e., MMPI, Rorschach) through case consultations. This training is a good way to improve competence and prepare for the certification exam. Certification is attained when one passes a certification exam, showing competence in the method, and has two completed clinical cases reviewed by the Istituto Italiano Wartegg. Alessandro Crisi, Psy.D., SPA Fellow, is a licensed psychologist and psychotherapist in Rome, Italy. 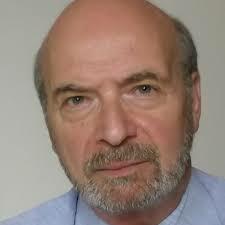 He is the founder and president of the Istituto Italiano Wartegg (Italian Institute of Wartegg) and an Adjunct Professor in the GSPP of Denver University, CO. For many years, Dr. Crisi has been an adjunct professor at Sapienza University of Rome, a consultant to the Rome Institute of Speech Therapy and to the criminal and civil courts in Rome. He also served on the executive committee of the Italian Association for Forensic Psychology. Dr. Crisi is the author of numerous publications on clinical assessment and psychodiagnosis. 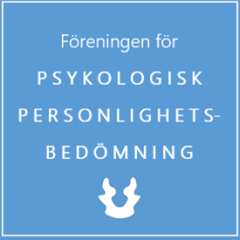 He frequently makes presentations around the world on psychological assessment and the Wartegg.